In many posts I refer much too briefly to the ‘misconstructed’ currency union. I think I need to dedicate a series now to explain in more detail what I mean by that. In this, the first part, let us start with the role of the central bank. Another shortcoming of the Eurozone construct is already alluded to in some detail in the long paragraph right in the middle of another blog post. Why do we need a central bank, and what does a central bank need to fulfill its role effectively? The first key to the puzzle is to understand that most of the money that circulates is actually created by banks, not by the central banks or the treasury department. This is done through the creation of credit, and it works like this: Say you are the founder of a new bank, and you equip it with cash assets of €1m. The bank can lend this to someone, and charge interest. Now, instead of owning €1m in cash, the bank owns a contract which is worth, hopefully, €1m or so. You will get interest payments, and you will, at some pre-determined date in the future, get all or some of your money back (depending on whether the borrower can pay at that time). But that paper is worth something close to €1m. Not worth the same every day (as interest rates to up and down the value of your future cash-flows may fluctuate), but still, if you lent prudently, that loan should — on the balance of probabilities — turn out to be a good ‘investment’. But you are also allowed to take in deposits from people who want to park their money in a savings account. You may have to pay them interest to get their money, but once you have it, you can use that to lend to someone else again. You can do that game many times. You may end up with, say €15m of deposits, and €16m of loans, for example. If everything works out, the bank is still worth €1m or so, and if you charge more interest on the loans than you pay on the deposits, you make nice money along the way. How have you ‘created’ money in this process? Well, a depositor is someone who wants to neither invest nor spend his money right now. His money would be ‘dead’ money to the economy unless it is lent to someone who wants to invest or spend it. It effectively gets recycled to a higher-value use, by changing hands from someone who doesn’t need it right now to someone who does. More money is available to invest and spend when the savings and loan market does its magic. In that sense, you have increased the money supply to the economy. You, or your bank, have two risks, however: (a) not all loans may be ‘good’ forever, so you may not get all your money back on the €16m, and (b) depositors may decide they want their money back, but you just don’t have it! (or at least not yet, until some interest payments and loan repayments keep coming through). So you can’t pay, even though your business is fundamentally sound. You have a ‘liquidity problem’, not a ‘solvency problem’ (you aren’t in the least bankrupt: the value of what you are being owed minus what you owe is still high). What do you do? In the first instance, you go to another bank, to the ‘inter-bank market’, and borrow the money from them. That usually works, if the other bank knows you are a sound bank, and your loans are ‘good’, so the money will come eventually, and you will pay them back. In reality, banks borrow and lend from each other every single day to smooth out these wrinkles of deposit demand and loan demand getting slightly out of sync, which they do, unpredictably, every day as customers come through the door. But when you take all banks together, as a group they may still have a shortage of deposits or a shortage of loans on any given day. So it’s a bit like musical chairs in the inter-bank market. When most banks are done with the ‘flattening’ of their cash liquidity, some banks will be left with no-one to go to. The overall banking system will have a residual demand to either deposit or lend a little. The remaining banks have the right to simply go to the central bank and borrow from there, or lend to it, whichever the case may be. This is what we mean by the ‘lender of last resort’ function of a central bank. It keeps the banking system functioning in an orderly fashion, and everyone who needs loans and is a ‘good’ credit gets loans, and everyone who wants to deposit money finds a bank where they can do that. Usually the interest rates are a little punitive when a bank goes to the central bank for loans or deposits, just so that banks really go there as a last resort if they don’t find any other banks to do business with at the end of the business day. This just keeps the noise down for the ever-busy central bank, and that’s how it works on a normal banking day. Now bring on an economic crisis and see what happens. People will borrow less (because they invest less), and people may need to have some of their deposited money back in a hurry for whatever systemic reason: They might think the bank’s aren’t ‘safe’ even when they are, they may need to pay service providers earlier because no-one trust each other with outstanding bills, or some such effect. In this situation, the central bank will actually have to lend quite a lot to the banks temporarily, because the already outstanding loans get paid back very slowly over time, but the deposits get withdrawn fast. Then banking system shrinks together with the economy, but it does so in an asymmetric fashions: deposits shrink faster than loans. If the central bank did not step in as a lender of last resort, depositor would demand their money even faster as soon as they become afraid that the banks don’t have liquid cash in hand. A bank run ensues and becomes self-accelerating as panic breaks out. Politically, the action of lending rather large amounts in such a crisis is very unpopular. It will be called a ‘bailing out’, even if the banks are still sound (but just don’t have the liquidity). In reality, everyone is distressed, not just the banks, but the banks bear the brunt of that stress. Financially, it would be crazy not to bail out the banks with loans, because no bank would be in a position to lend to anyone. Money supply in the economy would dry up instantly. So the central bank, though being politically unpopular in such a phase, prevents an economic crisis from turning into a banking crisis while banks are otherwise economically sound but are out of liquid cash. For every depositor who wants their money back, the central bank will lend to the bank to effectively replace that deposit. This brings us to another very important point, which has been learned the whole world over, over the centuries: Central banks have to be independent from elected officials, and here is why: In a crisis, people look for someone to blame. Most likely, the banks fall into that category. Elected officials are then in no position to support the banks, as it is hugely unpopular. Yet not supporting the banks would be economically catastrophic because literally the supply of liquid cash would dry up in the entire economy. 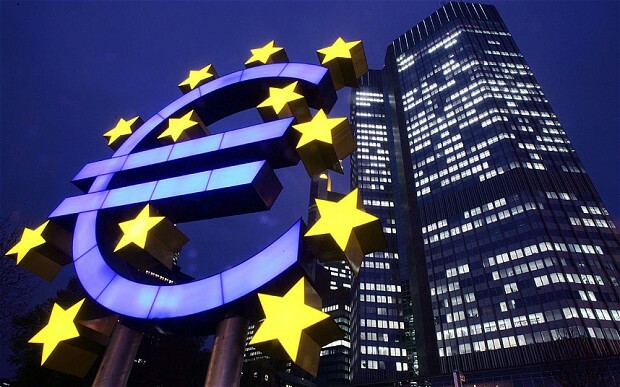 And herein lies one of the fundamental flaws of the Eurozone, which was exposed to publically last Sunday: The European Central Bank (ECB) is not truly independent. If it were, Draghi and Schaeuble would not have had to have a shouting match which led Dijsselbloem to call for a break of the seesion at 2 a.m. in the morning. The ECB was, in practice, in no position to go against the Eurogroup and do whatever it takes to keep the Greek banks alive. The only way they were kept alive for now is by stopping the depositors forcefully from being to withdraw large amounts of money. The bankrun wasn’t stopped, it is only contained for now, but it will go on immediately if the banking system were to re-open. Banks have stopped fulfilling most of the economic function of providing liquidity to the economy, and all this in spite of the fact that all but perhaps one of the Greek banks withstood the ECB’s stress tests, so they are judged by the ECB to be fundamentally sound. This isn’t a Greek problem. This is a weakness of the ECB. If politicians can interfere with the lender-of-last-resort role of the ECB, the central banking system in the Eurozone will keep failing precisely when it is needed most, whenever or wherever that may re-occur in the future. Bank runs will become a reality, and capital controls will have to happen again and again, taking the lifeblood of any effected economy. We also lean a couple of important things about the current state of the Greek crisis. (1) It brings us to and understanding why a Greek exit from the Eurozone would be so catastrophic if it were to happen right now: There is no central banking system for the new Greek drachma, if one were to introduce that currency tomorrow. The laws would have to be written, the governance put into place, and — perhaps most critically — the Greek central bank would have to be independent of both the ECB and the elected Greek officials. The only way to get there would be a well-planned and well-executed transition, precisely at a time when it is politically least likely that true independence will be achievable. Without a well-constructed lender of last resort, a Greek economy undergoing a Euro exit right now would immediately lead to a collapse of the Greek banking system in spite of debt writedowns, a new currency, and maybe forced bank recapitalisations. The Greeks would still have a run on the bank, or capital controls, or both, for a long time. And all that in spite of the fact that a Euro exit would otherwise be quite healthy for Greece in the long run. (2) By not being independent, the ECB could not keep the Greek banks functioning properly in spite of them being judged financially sound by the ECB itself. The damage on the Greek economy (which was well on its knees long before then) has been massively compounded by the absence of additional central bank action. With a strong and independent ECB, the Eurozone would be more crisis-proof. The ECB has allowed itself to be a political tool, and has proven that it is, instead, strongly dependent.